Evaluating your current eating habits is a good starting point in eliminating the causes of this affection. Industrially processed foods contain a lot of chemicals meant to intensify their taste, improve their aspect and preserve them for a longer period of time. Most of these substances have a negative impact on the tiny particles found in your body, such as the spermatozoa. 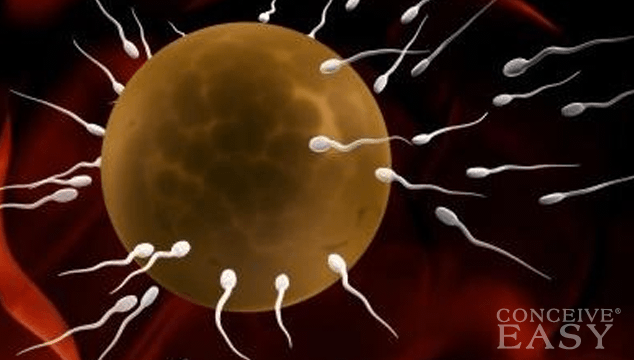 In time, not only the sperm’s mobility, but also its quality is diminished. You must replace these foods with fresh vegetables and fruits that are rich in minerals and vitamins. Smoking and drinking excessively affects not only the sperm count, but also its motility. If you want to improve this situation, you must quit these health damaging habits. Also, you must ask your doctor for advice, in order to see if the medication you take as a treatment for different health problems has a negative impact on the motility of the spermatozoa. Taking vitamin and mineral supplements is a good idea, especially when the purpose is to increase sperm motility. You need a high quantity of selenium, zinc and B-group vitamins that are not always assimilated from food, so you should choose the products based on this combination. Going for natural treatments is often the most effective method of solving health problems. A great variety of herbs have been used for thousands of years to boost fertility in men, like ginseng, that is used in traditional Chinese medicine to increase the level of testosterone and improve the sperm count. In Japan, a combination of more plants and herbs known as Hochu-ekki proved to be very effective in treating low sperm motility. Having an active life and keeping in the best of shape through regular exercise brings many benefits to your general state of health. However, testicle injuries are a common cause of both low sperm count and reduced motility, and you must avoid some physical activities such as cycling, baseball, karate and other contact sports. Wearing loose underwear is another thing you can do to improve sperm motility. This is because the health of the sperm also depends on the comfort of the external reproductive organs.